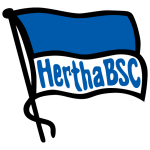 FSV Mainz 05 vs Hertha Berlin predictions for this weekend’s German Bundesliga. High-flying Hertha Berlin look to build on an impressive start to the season against Mainz at the Opel Arena on Saturday. Read on for our free betting tips and match preview. Hertha Berlin made headlines last weekend by becoming the first team to get the better of Niko Kovac’s Bayern Munich. A 2-0 win at home to the German champions sees Hertha joint second ahead of Saturday and marked their best-ever start to a Bundesliga season – 13 points from six matches (W4 D1 L1). Coach Pal Dardai is unlikely to make too many changes to his team even with the return of Australian international Mathew Leckie from injury as midfielder Ondrej Duda and captain Vedad Ibisevic have been in top form – the pair have already scored nine goals between them, with the former standing as top scorer in the Bundesliga (5 goals). Summer reinforcements, such as loanees Javairo Dilrosun (from Man City) and Marko Grujic (from Liverpool), have added strength to an already well-bonded side and the Berliners look to have a certain spark to them this season. Mainz 05 are at the opposite end of the scales. Sandro Schwarz’s men are tough to watch and fell to a second defeat away to Schalke last weekend. A lack of goals are the main concern – the 05ers have only managed four in six games so far. Panic mode is yet to set in as the 05ers stand 9th in the table, but you’d have to say that even that is a fortunate position to be in given how they’ve played. Mainz are rarely the better side in terms of attacking stats – in fact, they rank 13th overall for shots on target – and tight results against some of the weaker sides in the division, such as a 1-1 draw away to newly promoted Nurnberg, shows how little they have to offer. Have the 05ers riden a wave of form that can’t be maintained? So where does that leave us ahead of this game? Well, after looking over everything, the value has to be in Hertha for Saturday. Mainz were one of the weaker sides overall in the Bundesliga last season – not much has changed in that respect over the summer – and even though they were stronger at home, they still lost in 41% of their Opel Arena outings (W7 D3 L7). A response to that could be that Mainz have won in 4 of their last 6 Bundesliga outings at home (W4 D1 L1), including two out of three in the 18/19 season, but the quality of the opposition beaten doesn’t make this particularly outstanding. And when you look at overall form for this season, the teams that Hertha have faced and beaten (Bayern Munich, Borussia Monchengladbach, Schalke 04 and Nurnberg) compared to Mainz (Stuttgart and Augsburg) are of a much higher caliber. Consequently, the visitors’ recent form is the one to keep an eye on. Hertha are displaying all the signs of a team ready to take the league by storm and what’s worse for Mainz is that they have a pretty poor track record against them – the 05ers have won in just 3 of their 14 meetings at home to Hertha (W3 D7 L4). Mainz’s weakness this season has been in a lack of goalscorer and their weak offensive record – the second worst in the Bundesliga (4 goals scored) – will obviously bring down their results in time. With three of Mainz’s four goals this season also having come from substitutes, it says something about the quality that they have available to field in the first place. 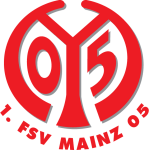 Mainz also lack of experience in their squad, having sent out their youngest ever team this season, which should see them struggle against a Hertha side brimming with it. It’s simply hard to look past the side in form. Our prediction: 2-1 Hertha. Hertha have lost just one of their last seven competitive outings (W5 D1 L1). Hertha have scored two goals or more in four of their last five Bundesliga games (W3 D1 L1). Mainz have the strongest defensive record in the Bundesliga after six matches (4 goals conceded). Mainz also have the second weakest offensive record in the Bundesliga after six matches (4 goals scored). Mainz lost 41% of their home matches last season (W7 D3 L7).